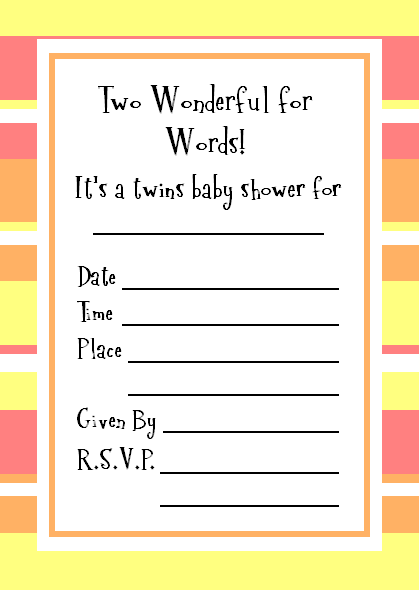 Perfect Twins Baby Shower Invitations - And they are FREE! Print any of these gender nuetral Twins Baby Shower Invitations for free! All you have to do is follow the printing directions below and fill in the blanks. There are 4 different Twins phrases for you to choose from. 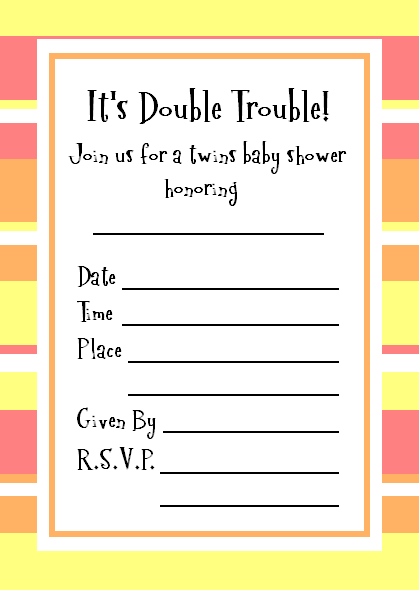 These Twins baby shower invitations are a cute way to invite your guests to the party! There are several ways to print these invitations. Whichever way you choose, I suggest that you print your invitations on a thicker cardstock for a sturdy, good quality invitation. The EASIEST way to print this invitation is to open this pdf printable Twins Baby Shower Invitations and print it from there. After you print out your invitations, you will need to cut them out and then fill in your shower details. Piece of Cake! 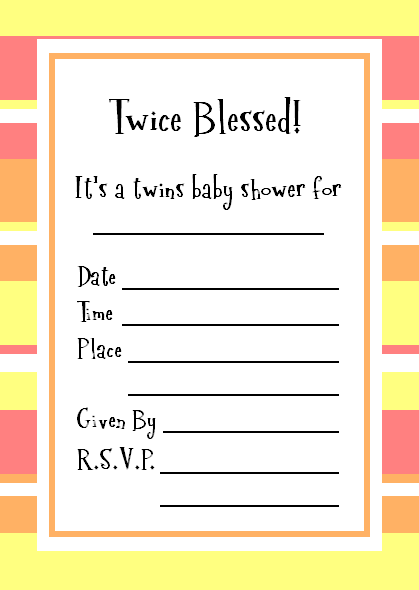 These Twins baby shower invitations will save you a considerable amount of time and money in your baby shower planning. We strive to provide you with quality ideas & resources to help you plan the perfect twins baby shower!